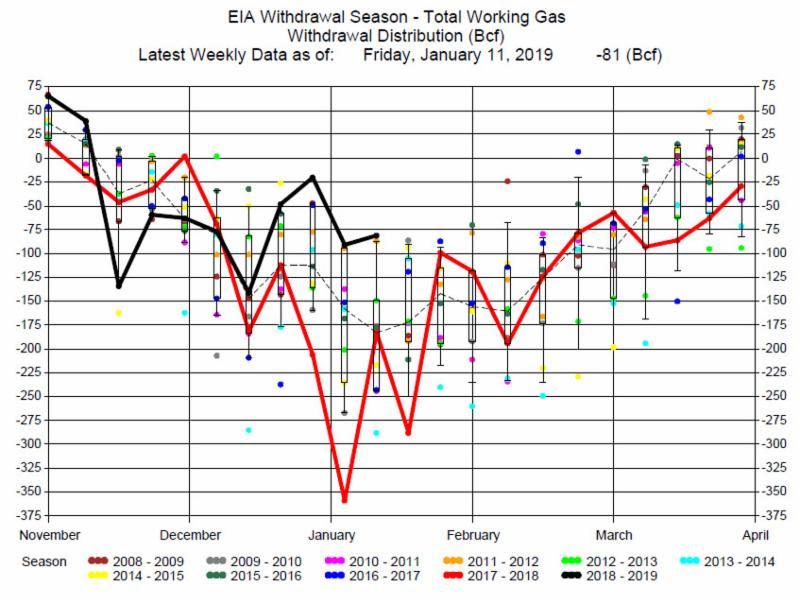 The EIA reported an 81 Bcf withdrawal for the week ending January 11, 2019. The withdrawal was again one of the smallest for this week of the year, and less than the average of expectations of an 88 bcf withdrawal. 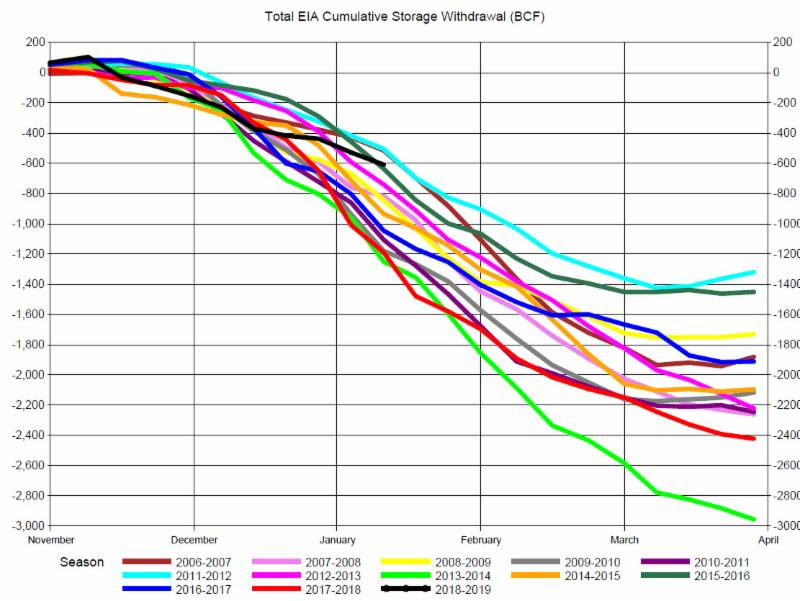 Storage at 2,533 Bcf is only 51 Bcf less than last year at this time. The report was bearish to prices. Before the release of the report prices were up about 15 cents but fell after the release. By the end of the trading day prices were basically unchanged near $3.39 per MMBtu. Prices have been supported by forecasts for colder weather in the next few weeks. Earlier in the month with the milder winter weather prices were trading below $3.00. With recent forecasts of prolonged colder weather the market is bullish and prices are in the $3.40 to $3.50 range. 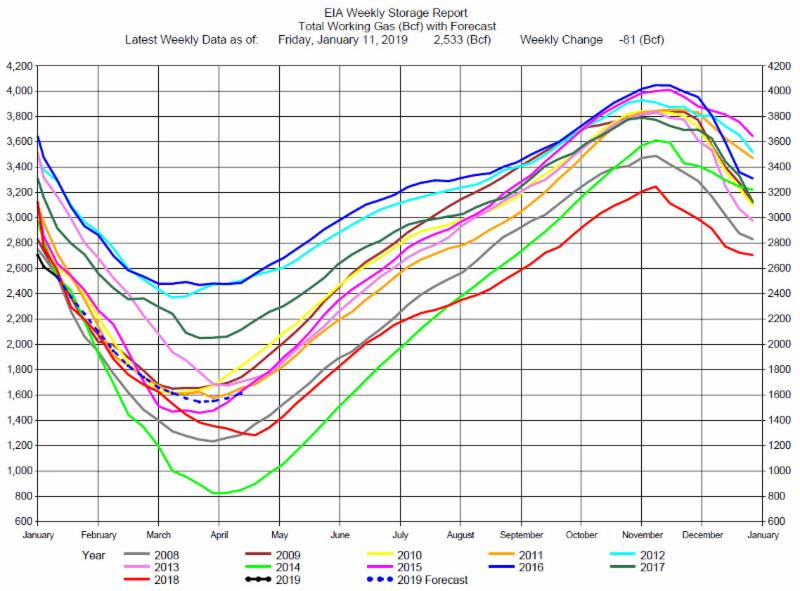 The mild weather and production growth have contributed to the seasonally low withdrawals and the reduction in the storage deficit. 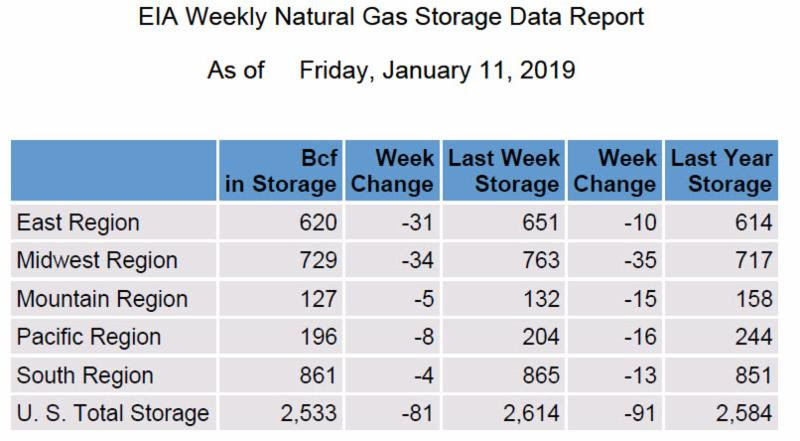 Despite these bearish factors the market is concerned about the storage level given the current forecasts. We expect the price volatility to remain and price movements reflecting the changes in the weather forecasts.